Google is the first place people go to find answers to their questions, funny memes to share, and the perfect product. It’s no wonder that Google has become more than just a search engine, but a platform that supports small business, marketing, and ecommerce as well. Their platform offers Google Ads, Google Analytics, and the Merchant Center. All of these tools are used to support and build ecommerce, making Google a leader in the field. Continue reading to find out more about the Google Merchant Center, how to use it, how to set up product listings, and the different benefits it provides. Google Merchant Center is a necessary tool to use Google’s shopping feature. When a consumer conducts a search on Google, their results may appear in a variety of different ways. Ads will typically be near the top, and those are configured using Google ads. Below the ads are the results based on SEO. Somewhere near the top of the page (or to the right of the page when using a desktop) are the sponsored results. These sponsored results are like Google ads, but they require you to use the Google Merchant platform. Additionally, if you were to click the shopping link at the top of the search results it will take you to a page full of merchant products, all created using Google Merchant Center. The Merchant Center is a platform where you can upload your products so they appear on Googles ecommerce platforms. Without the Google Merchant Center, businesses would not be able to create product advertisements, have their products show up on the shopping tab, or even have sponsored items show up on the SERP. In fact, without using Google Merchant Center your business will be limited to Google Ads, and you’ll miss out on an opportunity. 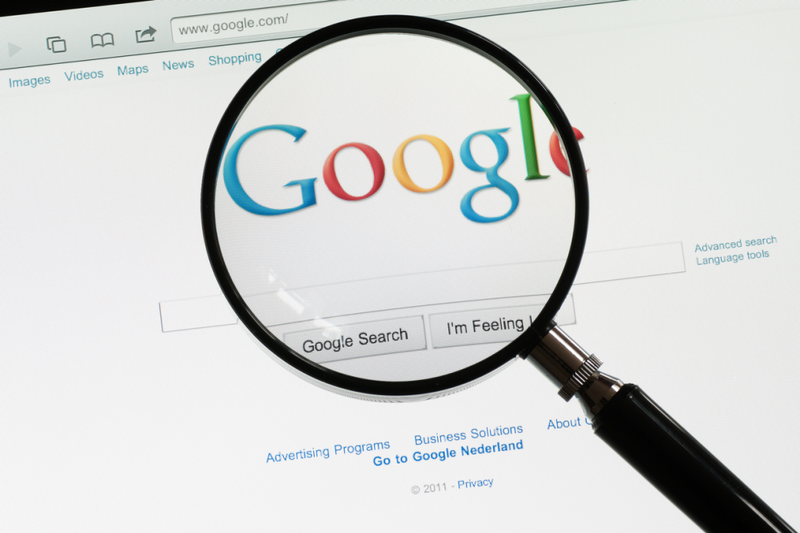 When customers search for a product using Google, they already know what they want. Seeing images pop up in a sponsored post gives them instant access to what they are looking for. Those customers will have little reason to look at the search engine results. Setting up Google Product Listing Ads (PLA) is the same thing as setting up Google Shopping, the terms are interchangeable. The first necessary step is to set up your Merchant Center account. You can easily access Google Merchant Center by googling it, and following the steps to create an account. If you already have a Google Ads account, or a Gmail account then you are in good shape. Once inside you’ll add details about your business: the description, store name, URL, location, etc. Simply save your updates to complete your account configuration. Once done, you’ll have the option to link to your Google Ads account, which is an easy process (especially if you’ve already logged into that account on your computer). Finally, it’s time to set up your PLA. Setting up your PLA is very similar to running a campaign in Google Ads. Give campaign a descriptive name. Select companies to target with campaign. At this point you’ve created the campaign, but you still need to load your inventory. Load your inventory into Google Merchant Center by selecting Data feeds. Select use Google Spreadsheets to store. Edit spreadsheet to enter your individual products. Depending on what ecommerce platform you are using, inputting your product data could be a manual process. With 3dcart, you can create an automatic Google Shopping feed. The benefits of Google Shopping Ads are numerous, but it really boils down to the fact that consumers respond well to images. As an added bonus, with Google Shopping you aren’t bidding on keywords like with Google Ads. This means that Google is doing the work for you, pairing your products with customer query’s, and making matches with synonyms. This means more intuitive results when customers are searching for your products, which equates to higher conversions overall. However, keep in mind, there are still ways to optimize your Google shopping ads to perform better. Additionally, Google is a company with a reputation. Your target customer may not know your company, or be familiar with your business practices (yet!) but they are familiar with Google. Showing up at the top of their search page (regardless if it’s a paid ad or not) gives your company credibility that it otherwise may not have had. The benefits of using Google Shopping Ads simply outweigh any cost or risk associated with it. The best and the brightest in the ecommerce world are all moving towards using Google Shopping Ads, because there their efforts pay off in ways that is unprecedented previously. Companies spend billions on commercial advertising, but the consumer still has to pick up their smart device and search for the product. With ecommerce and Google Merchant Center, your target customer doesn’t have obstacles to prevent them from converting. They conduct a Google search, and your product magically appears in front of them. Now your target customer has a choice. They can select the one that one at the top of the page with the captivating photos, or they can click on a link halfway down the page that says it’s going to take them to a page that has the product. Product Listing Ads convert more for a reason, the customer knows whether or not it’s going to be a match before the page even opens. The level of confidence that inspires is impossible to replicate wit text ads. Your customers want to save time, save money, and feel like they are working with a company that cares about what is important to them. Using Google Merchant Center is about more than selling your product, it’s about inspiring confidence in your brand.